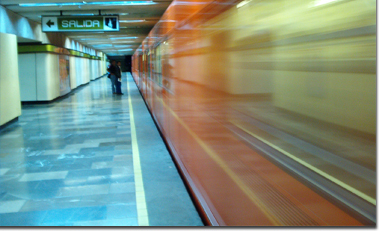 GEOMETRO provides measurements of underground advertising audience, as well as in commuter trains in metropolitan areas. In order to obtain the data on the journeys made by people in metropolitan areas, a survey was made through personal interviews using tablet PCs, digital cartography and software developed by CUENDE Infometrics. With this data, the most likely journeys were calculated on the basis of frequency and/or habits of each individual. At the present moment A-GPS devices are used in order to collect fieldwork data. - 730 entrances to underground stations. - 1.355 entrances and exits of platforms. The visibility area of each panel was calculated according to its specific characteristics (size, location, etc.) using patented software developed by CUENDE Infometrics.